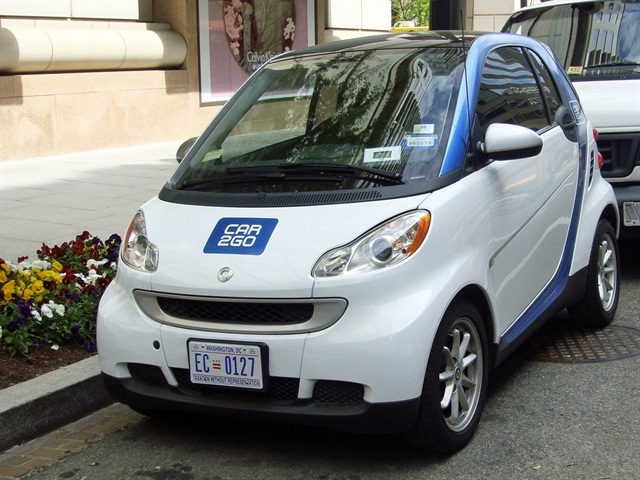 The Transportation Sustainability Research Center (TSRC), a provider of independent shared-use vehicle research, has released its car-sharing market outlook for 2014. As of Jan. 1, 2014, there were approximately 1,462,056 car-sharing members sharing 21,459 vehicles in the Americas (19 programs in Canada, 24 in the U.S., 1 in Mexico and 1 in Brazil). In the U.S., 1,228,573 members shared 17,179 vehicles among the 24 car-sharing operators. The 19 Canadian car-sharing operators said 224,523 members shared 4,174 vehicles. In Mexico’s car-sharing program, 5,634 members shared 50 vehicles. For Brazil, its car-sharing operator claimed 3,326 members shared 56 vehicles. In October 2013, TSRC organized the first Shared-Use Mobility Summit in San Francisco. This two-day event helped attendees understand and generate ideas for shared-use mobility in its many forms, including car sharing, ride sharing and peer-to-peer car sharing. Organizers hosted representatives from regulatory and planning agencies, along with allied industries, such as auto insurance companies, vehicle manufacturers and technology providers. This year, the Innovation in Mobility Public Policy Summit was held June 10-11 in Washington, D.C. In addition, the Shared-Use Mobility Center (SUMC) was launched. According to the SUMC website, it is dedicated to achieving universal, affordable and sustainable mobility in urban and metropolitan areas of the U.S.